She's having a great time learning about the world and she's getting more active everyday. Yet she still insists on where dresses and skirts when she climbs and won't leave the house with anything less than a beautiful outfit. That's a tall order for a piece of clothing, let along girls dresses 4T! But we have managed to exceed the expectations of the most discerning 4 year olds. 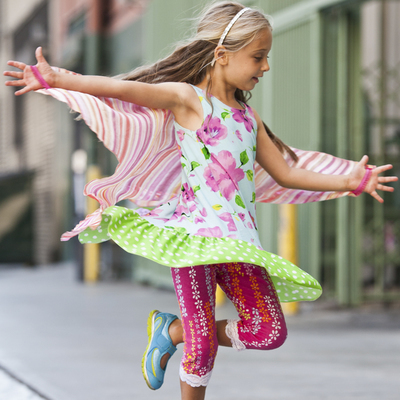 Our clothes are durable, soft and machine washable so she can wear it all the time. And it's special enough to make her feel like a queen everywhere she goes. Climbing trees or playing with her tea set, we help her do it in style.